With summer almost over it’s time to get ready for autumn, a season often described as ‘golden’ in Poland, due to the fabulous display of colours it brings with it. Here we take a look at how the season was perceived by some of Poland’s most talented 19th and 20th century painters. Stefan Filipkiewicz, Pejzaż jesienny, reproduction: D.S. 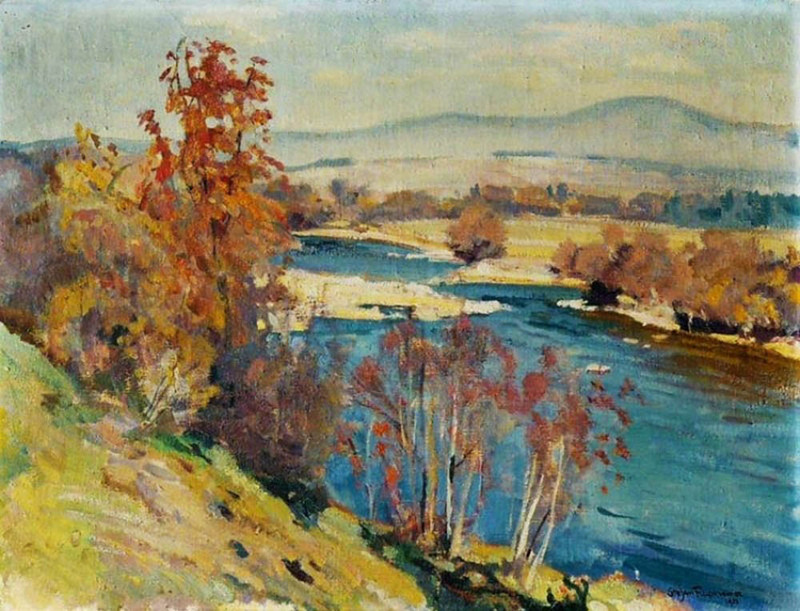 Stanisław Filipkiewicz, the author of this piece whose title translates as Autumn Landscape, is among the most valued Polish landscape painters. Even though the exact date of this painting’s creation is unknown, its style would suggest that Filipkiewicz made it in the early 20th century when he was still under the influence of his tutor, the noted symbolist landscape painter, Jan Stanisławski. At the time Filipkiewicz, born in 1879, made a name for himself by painting views of the Tatra mountains at the beginning of spring. 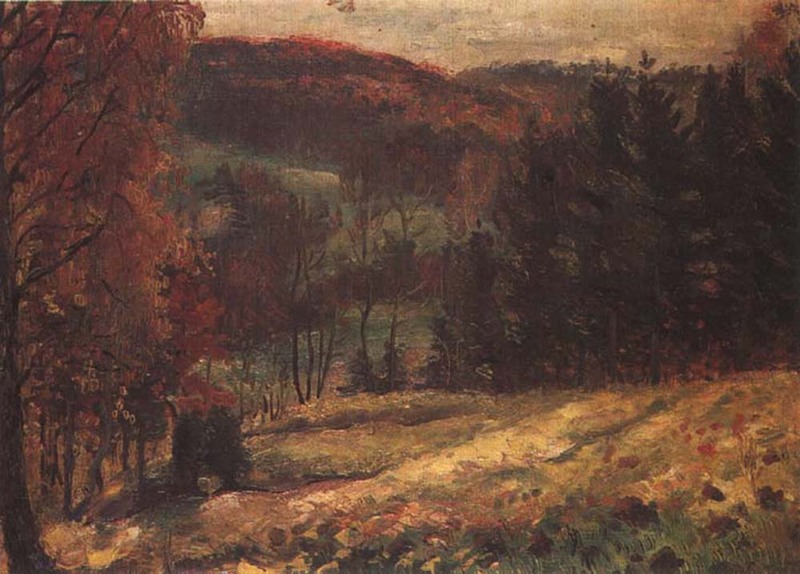 This painting proves however, that he was also more than capable of showing the beauty of Poland’s autumn. Autumn Landscape makes it clear why Poles often call their Autumn ‘golden’, referring to the fabulous display of colours the season brings with it. Emilia Wysocka, Pejzaż jesienny, oil on plywood, 99 x 124 cm, privately owned. Although Emilia Wysocka’s painting bears the same title as the previous work, it shows a much different side of Poland’s autumn – a season that at times can get quite gloomy. Fortunately, in her Autumn Landscape the darkness of the fading plant life is juxtaposed with the warm peach colour illuminating the sky. The contrast evokes the bitter-sweet character of the season whose famed colours are not only a thing of beauty but also a harbinger of winter, a time when the leaves are gone and the trees stand bare. Wysocka, born in 1888, studied painting under Konrad Krzyżanowski, one of Poland’s leading modernist painters. The date of the painting’s creation is unknown. Fryderyk Pautsch, Jesień w Karpatach, privately owned, photo: AGRA-ART auction house. 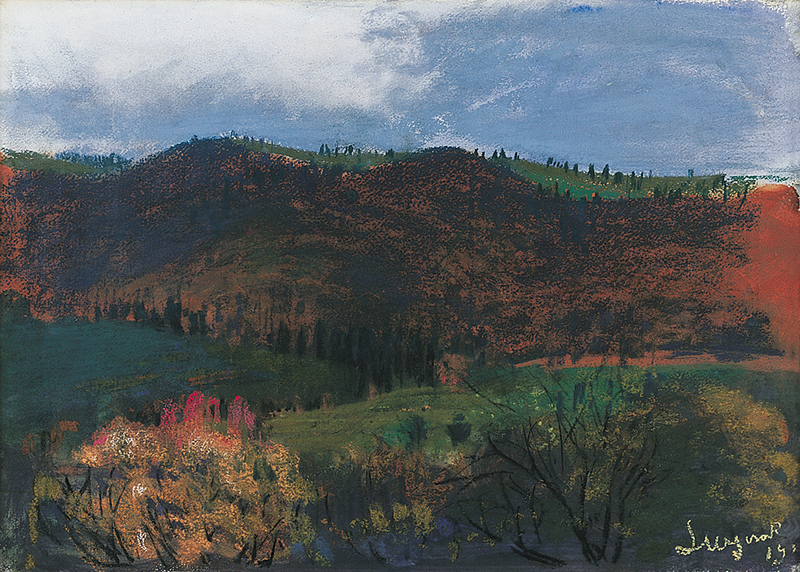 The title of this painting translates as Autumn in the Carpathian Mountains and points to a motif that recurs throughout Fryderyk Pautsch’s oeuvre, namely that of the Carpathian mountain range. Pautsch, born in 1877, would often portray the folklore of the Huculs, an ethnic group living in the Carpathian mountains, but this particular piece created in 1936 is a landscape devoid of the human element. By the time Pautsch made Autumn in the Carpathian Mountains he had been depicting the range for over 30 years – ever since he went on a painting trip to the Huculs as an art student (he studied under the acclaimed Leon Wyczółkowski, a painting of whose you may see below). So, what we have here is the work of a seasoned observer of the Carpathian mountains, who chose to show autumn in his beloved range in this very fashion. 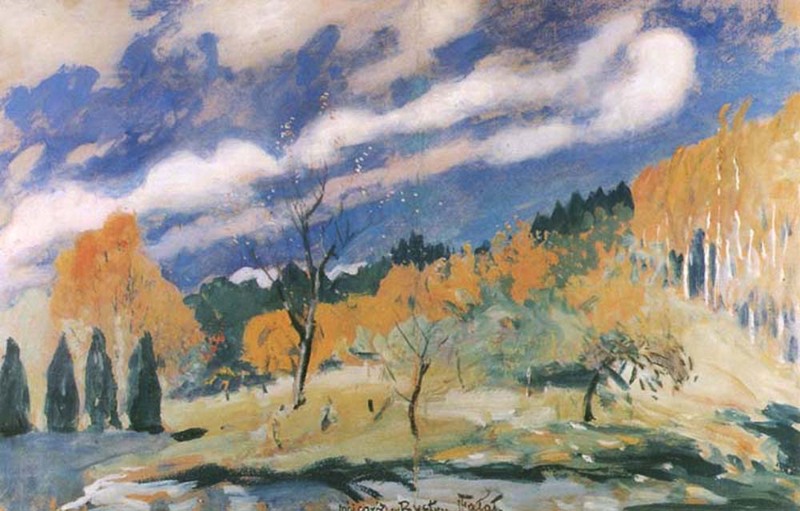 Autumn in the Mountains – Yaremche Landscape, that’s how one could translate the title of this 1910 piece by one of Poland’s leading modernist painters, Leon Wyczółkowski. Born in 1853, Wyczółkowski was a versatile artist skilled at making portraits, historical canvases (he studied under Poland’s premiere historic painter Jan Matejko) as well as landscapes. The latter held a special place in his heart for he considered nature an essential source of artistic inspiration. When it came to nature he liked few places better than the landscapes of Ukraine which he depicted on numerous occasions. 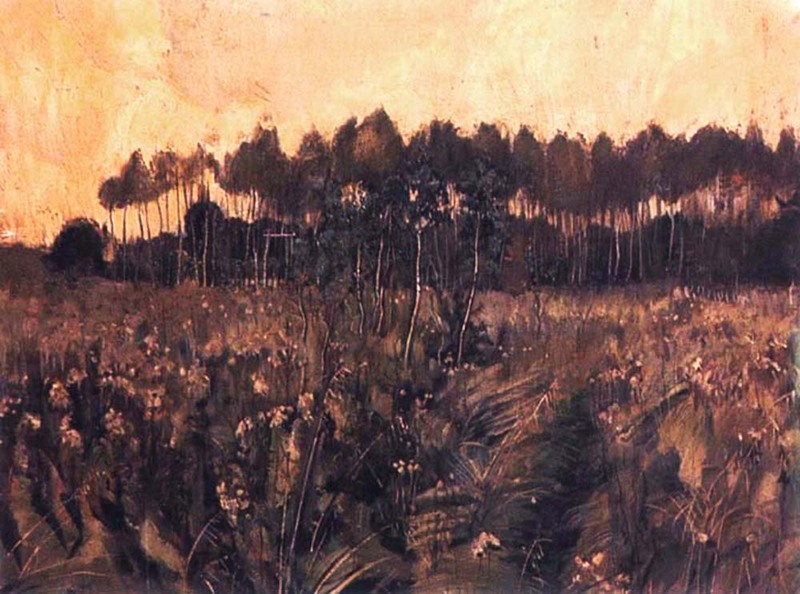 In this painting Wyczółowski shows us how he perceived the countryside near Yaremche, a once Polish town in the Ukrainian part of the Carpathian Mountains. Abraham Neumann, Wieś jesienią, privately owned. Abraham Neumann is another noted Polish landscape painter mentioned in this selection who studied under Jan Stanisławski. 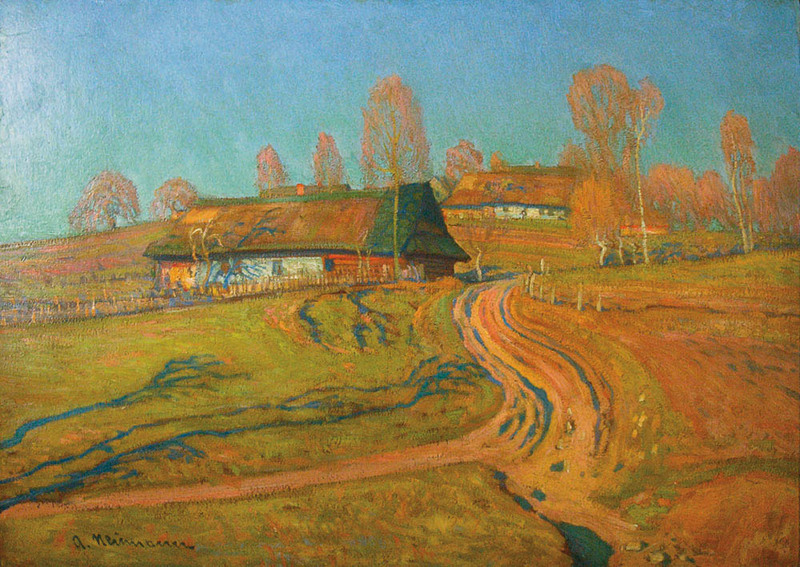 Born in 1873, Neumann authored numerous landscapes during painting trips to Poland’s Tatra mountains and this painting, Autumn in the Country, is likely to have been created during one of them (its date of creation is unknown). In 1904 Neumann, sometimes called ‘a sensitive colourist’, went to Jerusalem where the sharp sunlight of the Middle East is said to have influenced his painting sensibility. The bright colours in this painting seem to be an echo of that voyage. Witkacy, Pejzaż jesienny, 1912, oil on canvas, privately owned. Julian Fałat, Mój ogród - jesień w Bystrej, photo: www.agraart. Born in 1853, Julian Fałat studied painting under Władysław Łuszczkiewicz. The latter wasn’t a particularly accomplished painter but happened to be a great tutor. His knack for teaching is visible in Fałat’s work, who is considered one of Poland’s leading landscape painters and far surpassed his master - there’s hardly a better recommendation for a master than an apprentice that rises above him. 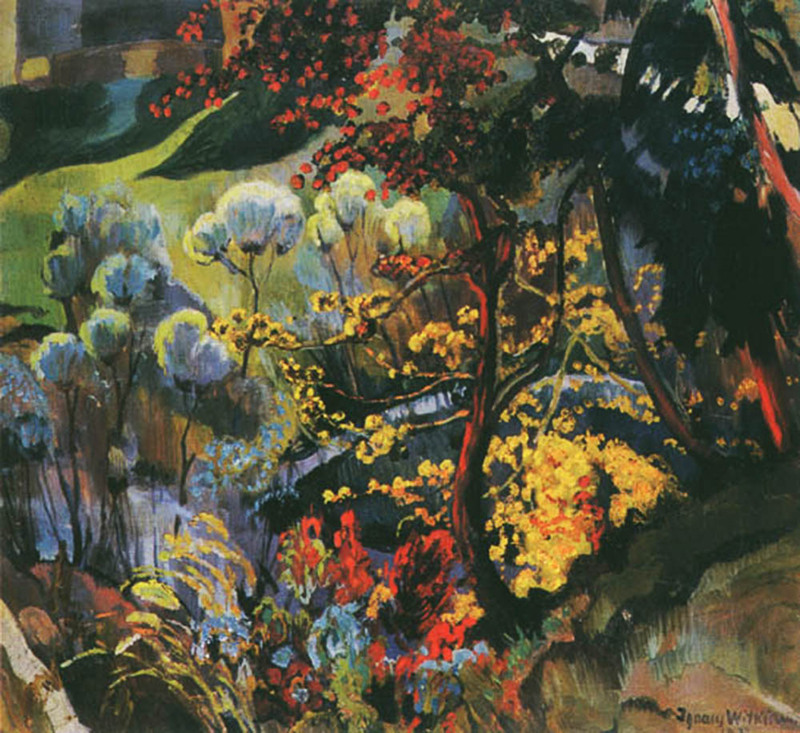 This piece whose title translates as My Garden – Autumn in Bystra is characteristic of the later period of Fałat’s artistic activity when he lived in the mountain village of Bystra, creating many landscapes of the nearby countryside in a style influenced by Japanese art. In this piece one can see how the garden neighbouring his villa looked during the autumn months.